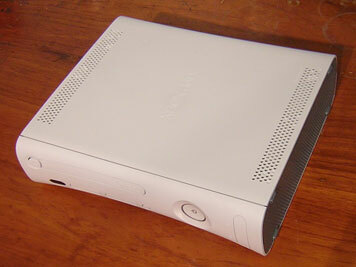 There are some good guides out there on how to open the Xbox 360. However I have read a few places that people are a bit scared about opening the case from fear of damaging their console. This guide is supposed to be a really easy guide, with lots of pictures to show you how EASY it really is. You would really have to try to break your Xbox! Please note – following this tutorial will break the warranty sticker (located under the facia) and therefore void your warranty with Microsoft. Make sure there is no disc in the drive, and the power is off. 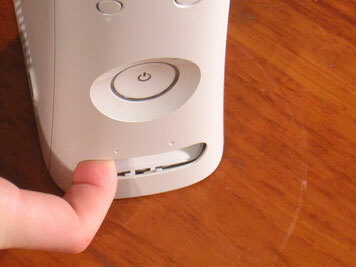 Hook your finger inside the USB port door, and ‘pop’ off the facia. It will come off no problem. You now need to remove the top and bottom grills. 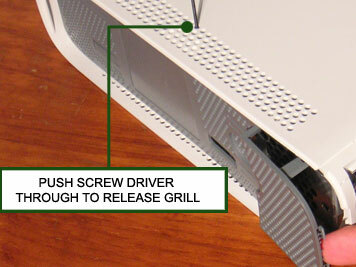 Pull the front of the grill out away from the console, it should come off with a little effort. 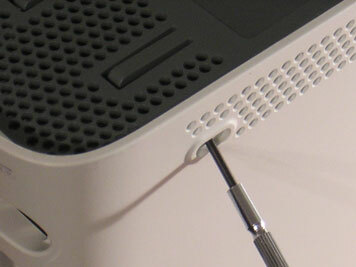 The grill is then held in place by the four remaining clips, which can be seen if you look through the little holes on either side of the console. These can be unclipped with a small screwdriver. If you have trouble releasing the last clip, you may need to pull back the rubber foot next to the grill, which will reveal a small hole. You can then push the screw driver through there. 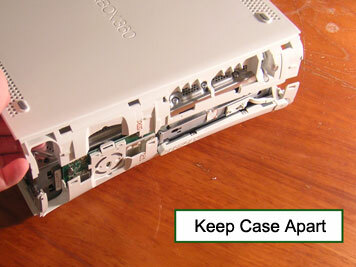 This is now your last chance to back out of opening the console before breaking the warranty sticker on the case! The four case clips shown in the image below now need to be unclipped. This can be done with a fingernail or screwdriver. 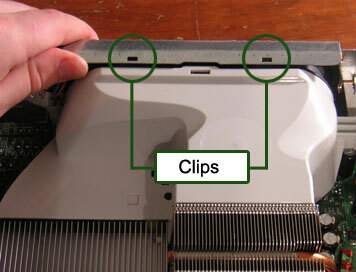 Once you have undone this clips, you can now lift up the top half of the case. You need to keep these apart now, otherwise they will clip back into place. This for me is a bit of a pain – not particularly difficult, but I didn’t know what the hell I was supposed to be doing when I did it the first time! 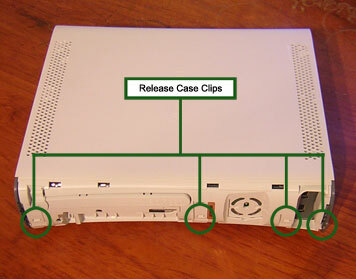 Once you have the case open, you’ll see how the clips work. You will need something flat and strong for this (a flathead screwdriver probably won’t fit). There are tools around specifically for this (check out ebay) but I just use an old pair of tweezers because they are just thin enough. You need to push your implement through each of the seven slits until you hear a ‘click’ that means the clip is undone, and you can move onto the next one. Once they are all undone, the bottom part of the case will completely come off. 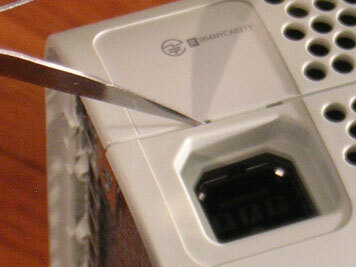 The button is clipped onto the DVD drive. 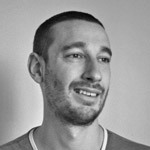 You should be able to get a small flathead screwdriver round the back, and prise it off. You don’t actually need any tools to remove the bezel, a fingernail will do. I have turned the console upside down to get a better angle, but this is not necessary. 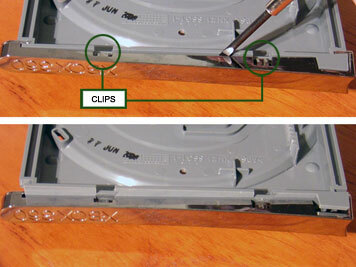 The bezel needs to be pulled away from the DVD drive at the bottom to release two clips. Once the clips are released, the bezel will slide off. 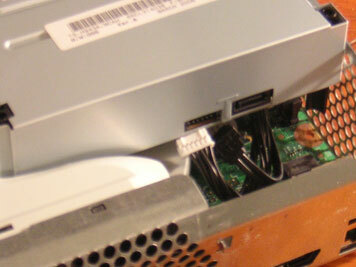 Unplug the power and SATA cables from the back of the dvd. They should come out with a bit of a tug. You need to peel back the silver tag just below the bezel, and then you will be able to remove the drive. The piece of metal above the fan needs to be bent up slightly as shown in the picture. With a bit of ‘wiggling’ the cream fan guard will come off, and the fan can be unplugged and removed. 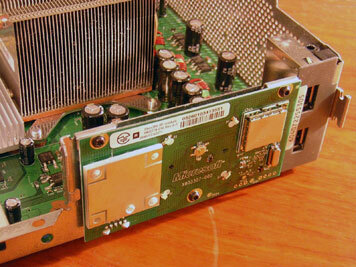 The cream plastic cover is clipped into the circuit board at the top and bottom. You can unclip this and remove. 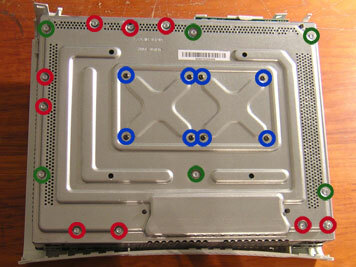 There are then 3 Torx 9 screws on the circuit board which can be undone, and the ring of light can then be removed. You can now turn the console upside down. Whilst making sure the motherboard does not fall out once free – unscrew the remaining Torx 9 & 10 screws from the bottom of the console. 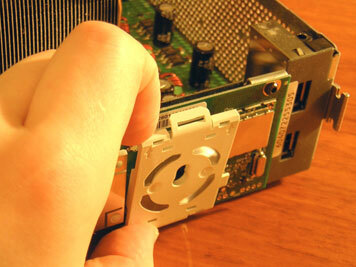 Once you turn the turn it up the right way, the motherboard can be gently removed from the casing. I opened the Xbox to the point where I'm at the metal box inside but one of the case screws is stuck and the part where I put the screwdriver is cracked so I can't unscrew it. Is there any way I can fix this, thank you. Gee thanks for the help except you need a T8 not a T9 so after lookin everywhere for a T8 then realizing i need a T9 kinda pissed me off. Great instructions - struggled with the back as you say. 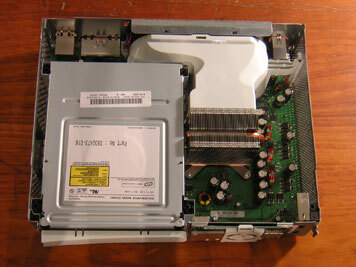 Managed to get the DVD drive and dismantle it in order to get game out - more value currently than the xbox. Still got two rings - so not sure which part needs attention. Thanks a lot for posting the article. Worked like a charm. 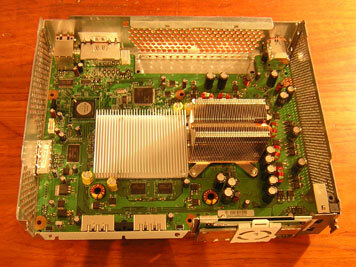 First time I had opened up my XBox 360, but not the first time I've had the RROD. Last time it was under warranty though. In any case, fixed it using the technique of replacing the heat sink X-clips with screws. So far so good.